Deputy Director (Capacity Building Cell)-01 Post. Pay Scale-Pay Band -3, Rs.15600-39100+G.P 7600/-. 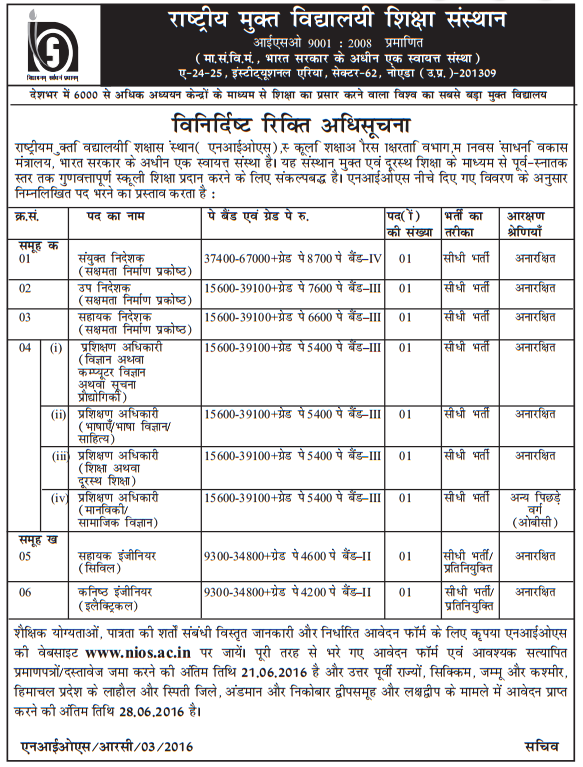 Assistant Director (Capacity Building Cell)-01 Post. Pay Scale-Pay Band -3, Rs.15600-39100+G.P 6600/-. Pay Scale-Pay Band-3, Rs.15600-39100+G.P 5400/-. Pay Scale-Pay Band -3, Rs.15600-39100+G.P 5400/-. Pay Scale-Pay Band -2, Rs.9300-34800+G.P 4600/-. Pay Scale-Pay Band -2, Rs.9300-34800+G.P 4200/-.